If you’re reading this, you must be beaming and about to expire with happiness. At least that’s how we believe the period leading up to your big day should feel! Planning a wedding is no walk in the park. It’s hard work, especially if you want something unique and fun. It’s not uncommon to hear a bride-to-be and her bridesmaids frantically finishing up on the wedding plans a couple of days before the wedding. Sending out wedding invitations is a big part of the whole process. You want your guests to smile merrily when they receive and open the wedding invite. But this shouldn’t come at the expense of wedding invitation etiquette. 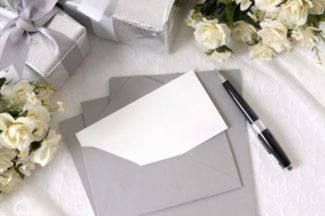 If you get caught up in the wedding planning madness, it’s easy to forget basic courtesy when sending wedding invitations to your guests. That’s why we made this checklist that you can use as a guide when sending out wedding invites. Typically, most couples give their guests a 3 to 4 month allowance to make plans for attending their wedding. Four months is enough time to allow your guests to make travel arrangements and request for a day-off if they’re employed. Is a destination wedding one of the things on your bucket list? You might want to send a save-the-date first six months prior. It takes guests a lot of time to hunt for good accommodation deals and budget for a destination wedding. Invitations should then go out 8 to 10 months before the actual date. It’s a smart choice to slip in an R.S.V.P card with your wedding invitation. Request your guests to respond with confirmations three weeks before the wedding day so you can get the final head count. This will give you extra leeway to make plans with your caterer. Call up guests who haven’t responded within your requested time-frame and get their R.S.V.P. It’s laughable how guests sometimes forget they’re not the “star attraction” of a wedding. The bride is. Even if it’s a beach wedding, doesn’t mean you want to see your free-spirited uncle in flip-flops. 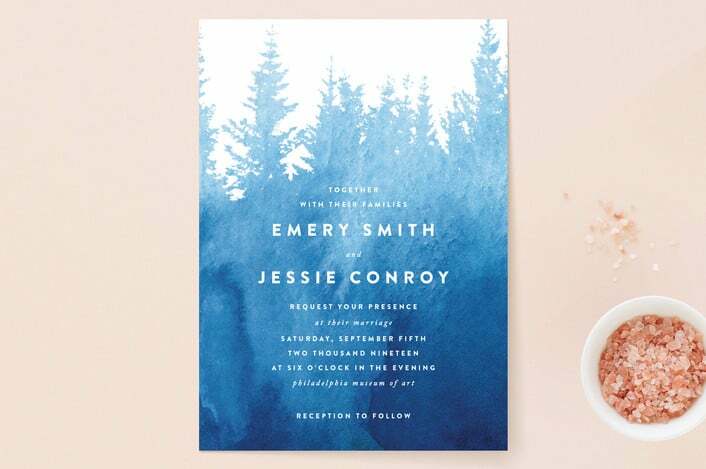 Tip: Keep the attire phrases in your invitation simple and straight to the point. Including registry information in your wedding invitation is a complete no-no. It’s a poor show of wedding invitation etiquette. Gifting comes off looking like a mandatory requirement for all guests who attend your wedding. If you have a wedding website, this is the best place to add registry information. Besides, family and close friends will also spread the word about your preferred wedding gift choices when asked about it by guests. The wedding reception can easily transform into a beast of information all by itself. Perhaps the reception will be in another location or have some extra activities. Adding all this information in your wedding invitation gives it a crowded look. Use a separate enclosure card if you find yourself in such a predicament. Planning to hold your ceremony and wedding reception at the same location? A short phrase at the bottom of the invitation indicating the same will suffice. 5. Should I Play the Name Game? 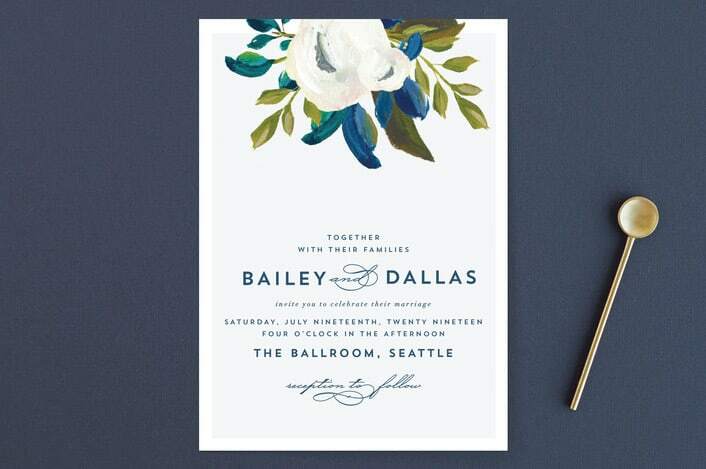 If you want to nail wedding invitation etiquette, you have to address your wedding invitations correctly. The outer envelope should bear all the full names of the guest. This is probably a no-brainer but worth mentioning still. Be keen on the titles you’re using when addressing your guests. Are you sending an invitation to a couple living together but yet to get married? or a woman who decided to keep her maiden name after getting married? All these and more are valid concerns to consider. Including the names of the wedding hosts in your invitation is another sleek move. 6. No Kids at our Wedding, Please! How can we make it clear we don’t want kids at our wedding? Simplicity is the name of the game when designing your wedding invitation. It should only include the names of the couple, full names of your guests, venue, and time. That’s it. You don’t have to indicate that children shouldn’t tag along. This is implied by how you address the invite. Only those mentioned should attend the wedding. If you don’t mind having the kids over at your wedding, make customized family invites as well. 7. A Wedding Website? What a Lovely Idea. Wondering what all this fuss about wedding websites is all about? It’s basically a one-stop-shop for your guests. This doesn’t mean you have to do away with sending out those invites. 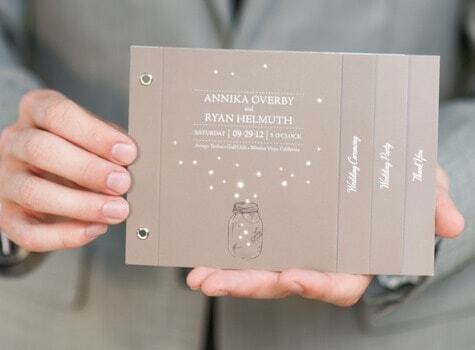 Wedding invitations make beautiful keepsakes and are not going away any time soon. The only downside with physical invitations is their inability to include much information without appearing messy. Many couples today are opting to create a wedding website for their big day. 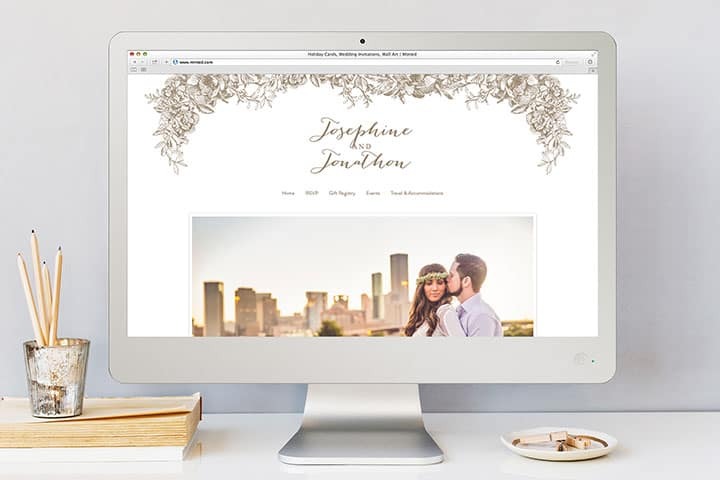 Include a link to your wedding website in your regular invitation. How you two love-birds met. And how he proposed. You can also put up a wedding itinerary if your wedding plan goes beyond the usual one day. Beside the who, where, and when, there’s a lot of flexibility with what you can choose to include or omit in your wedding invitation. 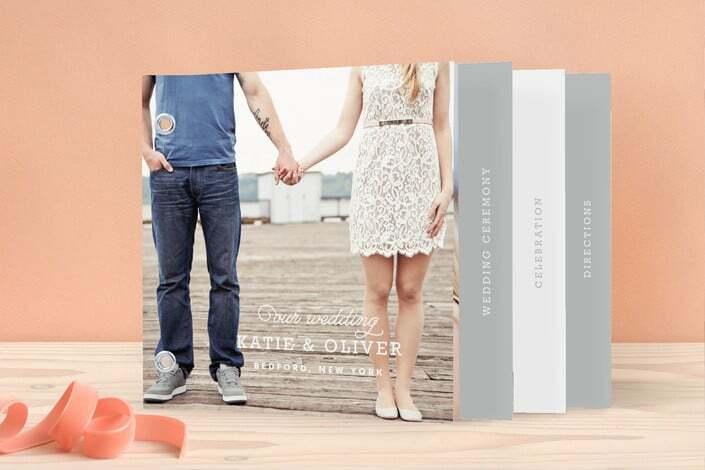 This calls for creativity and varying standards of formality when designing your wedding invitations. Remember, you’re setting the tone for your big day and getting your guests excited about the wedding. Just don’t leave out any pertinent information. Keep our 7 tips above in mind before sending those invitations. 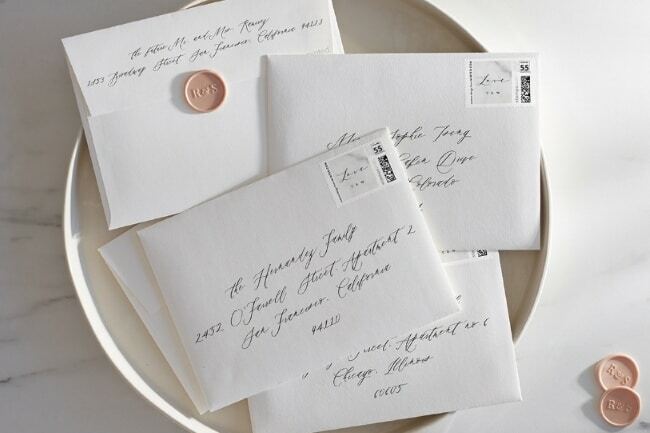 That way, you won’t give your guests a reason to question your wedding invitation etiquette. For more stationery etiquette advice, style tips, wedding trend news and to keep up-to-date with what Love and Lavender has to offer, make sure to like us on Facebook and follow us on Instagram, Twitter, or Pinterest. Unique Destination Wedding Invite Idea You'll Flip Over! 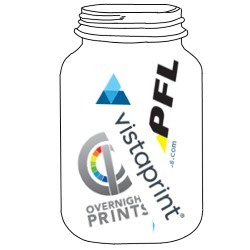 Home Print vs Online: What's Best for Printing Stationery?